When Charles Dodgson (better known by his pseudonym Lewis Carroll) expanded his original Alice’s Adventures Under Ground manuscript for publication as Alice’s Adventures in Wonderland, he added some characters who have become quite famous, including the Cheshire Cat, the Mad Hatter, and the March Hare. Another added character who has a fairly significant role in the story but doesn’t seem to be remembered quite as well is the Duchess. In Under Ground, the White Rabbit makes a reference to the Marchioness, and it turns out that another title of the Queen of Hearts is Marchioness of Mock Turtles. In the published version, this is changed to a reference to the Duchess, who shows up in person a few chapters later. 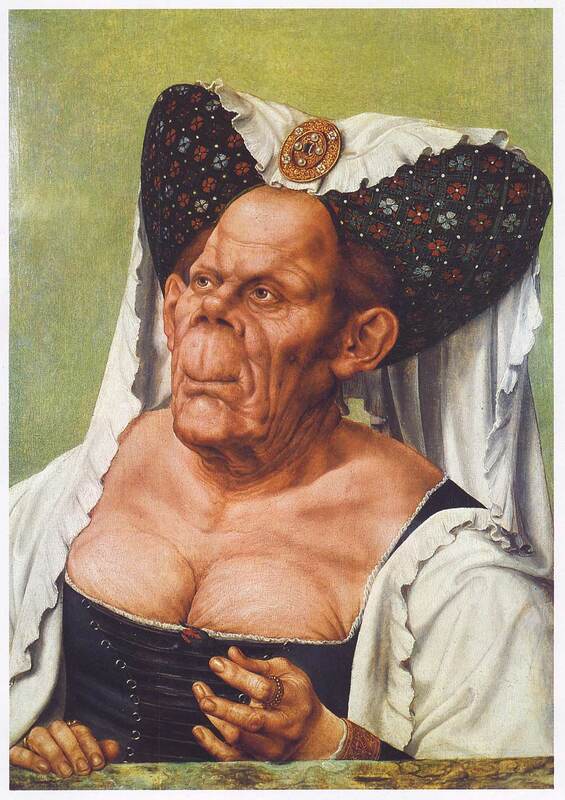 She’s a hideously ugly woman with a sharp chin, and Tenniel’s illustrations of her are most likely modeled on paintings of Margaretha Maultasch, a fourteenth-century Duchess of Tyrol with a reputation as the ugliest woman in history. Read more about the sources for some of the illustrations here. This means that Tenniel didn’t actually draw her sharp chin, but that’s a minor gripe. Alice first meets her at her house, where she is accompanied by a cook who uses too much pepper, a baby who eventually turns into a pig (it’s never stated whether there’s a Duke who’s the baby’s father), the Cheshire Cat, and two imbecilic footmen. At this point, the Duchess is very cranky, but when she shows up again in the Queen’s garden, she’s happy and friendly, leading Alice to suspect it was the pepper that made her bad-tempered. 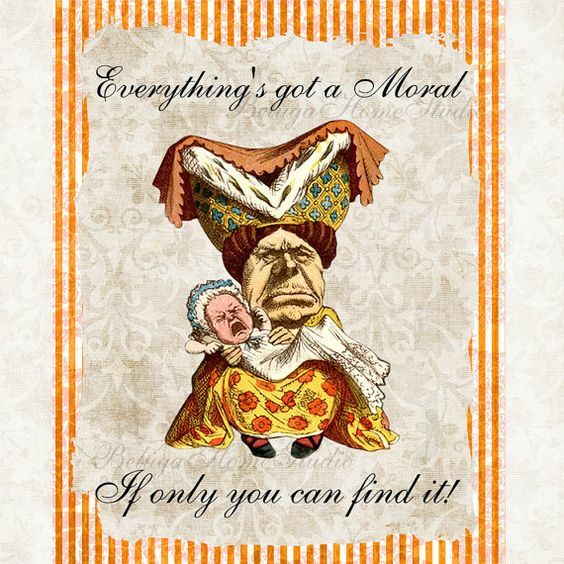 She’s still a bit irritating, though, with a habit of finding morals in everything. In The Natural History of Make-Believe, John Goldthwaite posits that Dodgson wrote Wonderland partially in response to another popular children’s book of the time, Charles Kingsley’s The Water-Babies. I haven’t read this one, but it was quite famous in its time, and I understand that it was part absurd travelogue and part heavy-handed Christian moralizing. In Goldthwaite’s theory, the Duchess especially symbolizes Kingsley, with her constant talk of morals being a parody of how Kingsley hit readers over the head with his own morals. He also points out that one of the Duchess’ morals, “Oh, ’tis love, ’tis love, that makes the world go round!”, also appears in Water-Babies, albeit in French. I believe “C’est l’amour, l’amour, l’amour/Qui fait la monde à la ronde” was actually a line from a popular song of the time, so it isn’t necessarily a reference to Kingsley, but it could be. Another one of the Duchess’ lines that I always found intriguing was, “There’s a large mustard-mine near here.” Apparently I’m not the only one, as evidenced in Ruth Plumly Thompson’s The Purple Prince of Oz, in which Kabumpo says to King Pompus’ brother Kettywig, “You wouldn’t feel at home anywhere but a pickle factory. Or in a mustard mine!” There’s a similar concept in Grampa in Oz, when a runaway road tries to force Dorothy and the Forgetful Poet into becoming pepper miners. 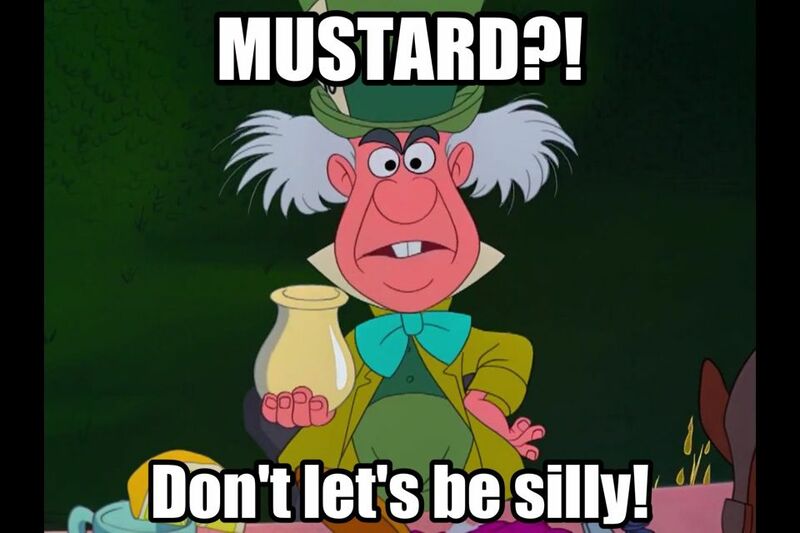 I actually wrote a bit about the mustard mining industry in the Winkie Country in one of my own Oz stories, and maybe I’ll use some of it again. This entry was posted in Lewis Carroll, Oz, Oz Authors, Ruth Plumly Thompson and tagged alice's adventures in wonderland, alice's adventures under ground, charles kingsley, duchess of wonderland, grampa in oz, john goldthwaite, kabumpo, kettywig, margaretha maultasch, morals, the natural history of make-believe, the purple prince of oz, the water-babies. Bookmark the permalink. I love your Alice posts – they’re so fascinating! Thanks! The two Alice books have been favorites of mine since quite early in my life, and I keep coming back to them every once in a while. Wow. I’ve always been passionate about Dodgson’s works and their origins, but I really learned a lot reading your post. Well-written, informative, and interesting :) Nicely done.